If you know me (or this blog), you know that I'm really big on sweets - especially ones you can sneak into your lunch box to make the day go quicker. I'm also a massive fan of any recipes that use food items you might consider throwing out. 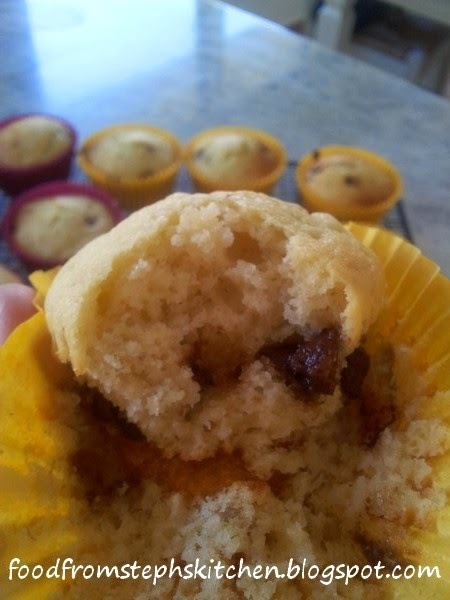 These banana muffins tick both boxes. 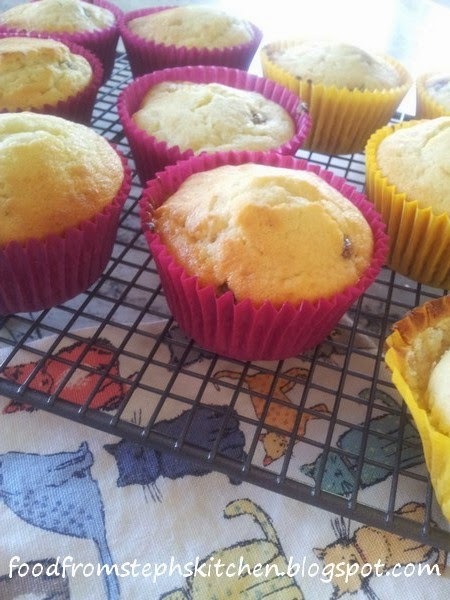 They are perfect for lunches, and the blacker the skin of the bananas you use the better the muffins taste! Plus, they can be bruised and squished and it doesn't matter. Throw in some choc-chips and everyone's happy. 1. Firstly, set your oven to 180 C / 350 F.
2. Cream butter and sugar with an electronic beater until fluffy. My Mum has always told me this is the secret to fluffy cakes. It has always worked for me! 3. Add vanilla, eggs and mashed banana and mix until well combined. 4. Next, alternate adding the flour and rice milk. Add 1/2 a cup of flour, followed by 1/3 cup of rice milk - beating the mixture each time until well combined. I know you are supposed to sift flour in cakes, but honestly I never do. I'm a little lazy on this front. 5. Finally, fold through the choc-chips. 6. Place muffin cases in a standard muffin tray, and using two spoons (as shown in my pumpkin and white chocolate cupcake recipe) fill the cases around half way. If they are slightly over, that's OK too. You just want to make sure you don't fill more than two-thirds of the case. If you want to make large, Texas sized muffins, simply use large or Texas sized cases and muffin tray. The mixture will make approx 16 standard sized muffins or 10 large muffins. 7. 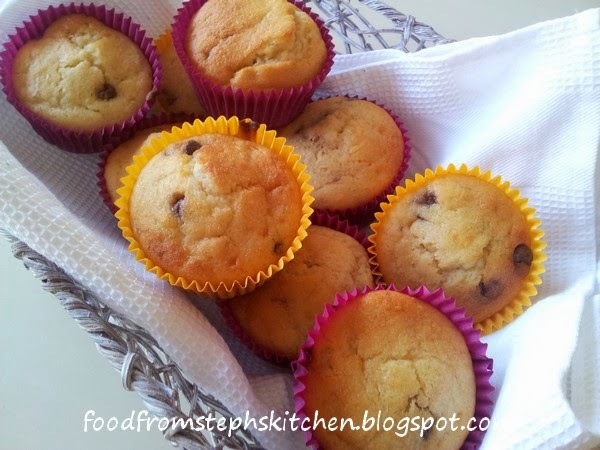 Place your muffins in the oven for 15-20 mins.